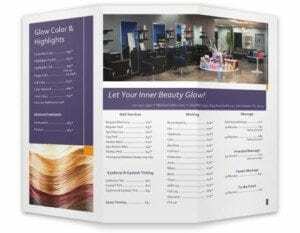 Glow Salon came to us with a design from another company. They weren’t happy with the results they were getting. They said it looked too much like a chinese food menu and we agreed. 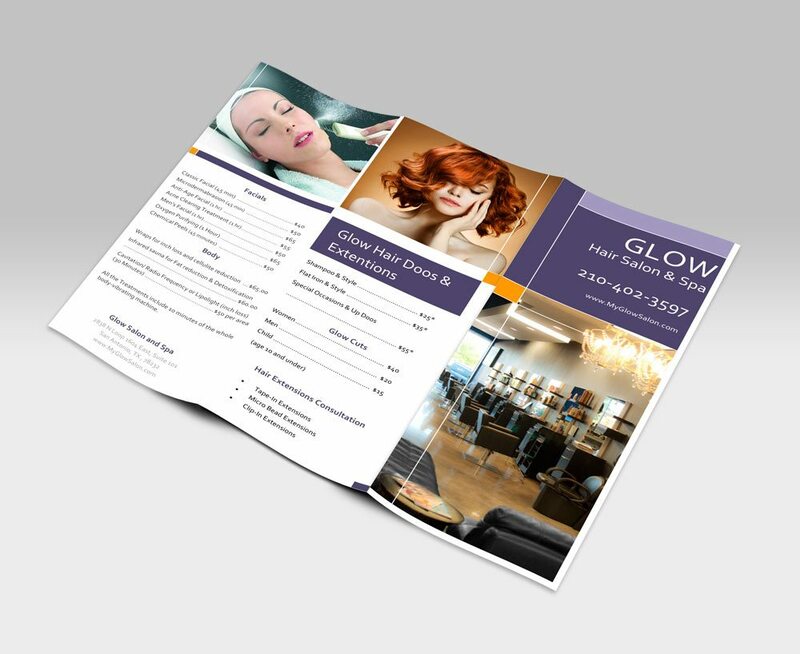 The biggest problem with the existing brochure is that it really didn’t convey the beauty and quality of service Glow offers, in addition to having no photos. We decided to bring some of the previous product photography we’ve done for glow into the brochure layout and were able to keep all the prices also.